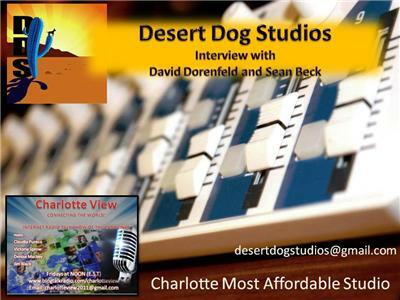 Charlotte View Internet Radio presents David Dorenfeld and Sean Beck producers and founders of Desert Dog Studios. 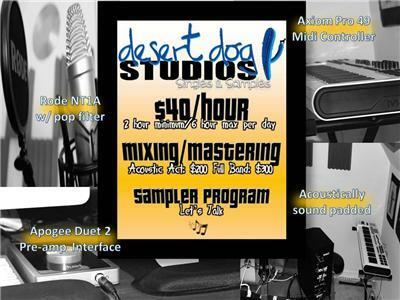 Desert Dog Studios is your preferred studio for acoustic singles and samples. The Studio offers low cost, high quality, acoustic singles & samples to striving artists and musicians alike while maintaining a comfortable and productive environment. The idea is to focus strictly on perfecting your one song, so that recording artists can walk away with a polished product and begin their marketing strategy. The studio keeps a moderate schedule, never overbooking themselves, and requiring auditions before beginning any production. 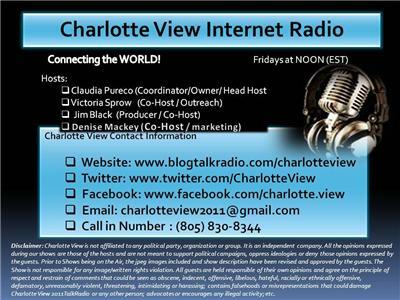 Please ask about their Sample Program to those artists and musicians who can't necessarily afford to spend a lot of time on a full song, but still need something professional to show for. A sample is roughly 30 seconds of your most recognizable, catchy, attention-getting hook, verse, or segment of a song. 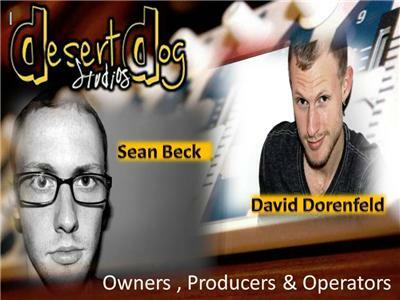 A sampler is a great way to attract venue owners, talent agents, and producers!